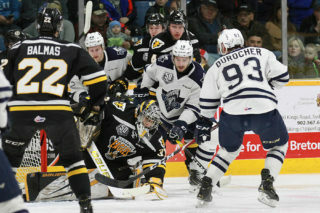 SYDNEY – Former Screaming Eagle and 2018 IIHF World Junior Champion Drake Batherson is set to return to Centre 200 this weekend for a pair of games. On Saturday night he will be in attendance for an intermission autograph session as the Screaming Eagles take on the Moncton Wildcats. 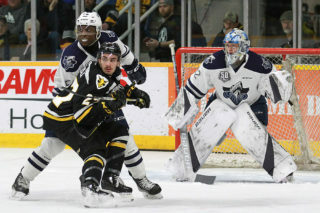 On Sunday, Batherson will suit up for the Blainville-Boisbriand Armada for a 4pm game against the Screaming Eagles. Saturday’s game against the Moncton Wildcats is presented by Cape Breton University. 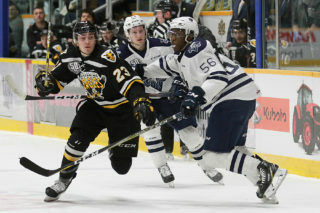 All CBU Alumni attending the game are invited to a pre-game party in the MacDonald room at Centre 200 from 6 PM to 7 PM. The party will include free snacks, a free Alumni orange t-shirt (in limited quantities), music by Kintyre Lite and a cash bar. The Drake Batherson autograph session will take place Saturday night in the west concourse during the first intermission on Saturday night. Sunday’s game is a 4pm start and will feature a special pre-game ceremony honouring Batherson for his time playing for Cape Breton and winning gold with team Canada. The national anthem will be performed by Matt Minglewood. Fans that purchase even split tickets at Sunday’s game will have a chance to win one of three Batherson Team Canada jerseys. These bonus draws will take place after the regular even split draw. 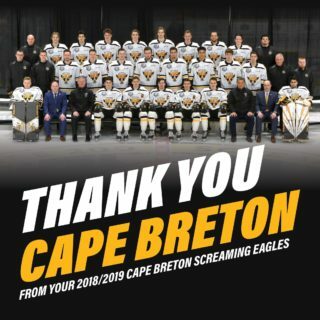 Additionally fans attending Sunday’s game will be given a free Batherson poster courtesy of the Cape Breton Post following the game in the main concourse.